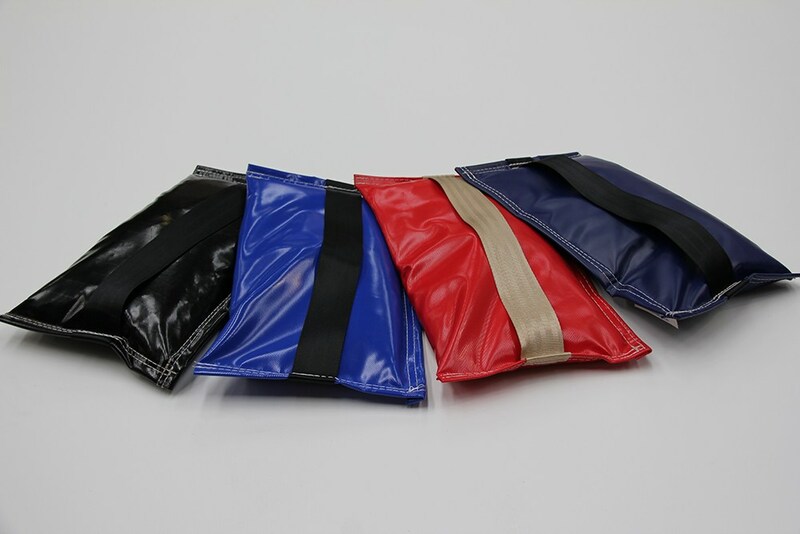 Commonly referred to as sand or shot bags are manufactured from heavy weight reinforced vinyl. 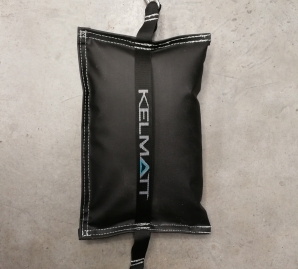 Our weight bags are double stitched for added strength and come with a 50mm wide seat belt webbing carry strap. 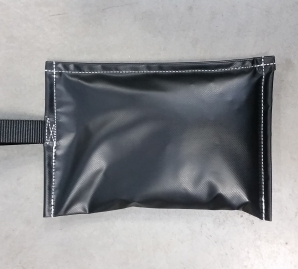 The bags are filled with 3-5mm metal punching or shot for a far greater weight to size ratio than bags filled with sand or gravel. 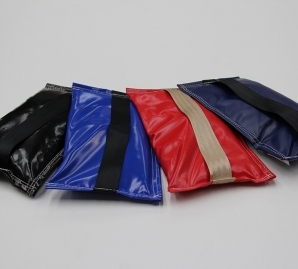 We also carry 3kg, 10kg and 12kg weight bags in a range of colours. 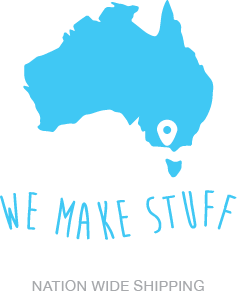 Custom weight, size and shape are available by request.